Ants are recognized for their abilities both to engage in mutualistic interactions with diverse taxa, and to invade and dominate habitats outside their native geographic range. Here, we review the effects of invasive ants on three guilds of mutualists: ant-dispersed plants, ant-tended arthropods, and ant-tended plants. We contrast how those three guilds are affected by invasions, how invasive ants differ from native ants in their interactions with those guilds, and how the seven most invasive ant species differ amongst themselves in those interactions. Ant-dispersed plants typically suffer from interactions with invasive ants, a result we attribute to the small size of those ants relative to native seed-dispersing ants. Effects on the ant-tended arthropods and plants were more frequently positive or non-significant, although it is unclear how often these interactions are reciprocally beneficial. For example, invasive ants frequently attack the natural enemies of these prospective mutualists even in the absence of rewards, and may attack those prospective mutualists. Many studies address whether invasive ants provide some benefit to the partner, but few have asked how invasives rank within a hierarchy of prospective mutualists that includes other ant species. 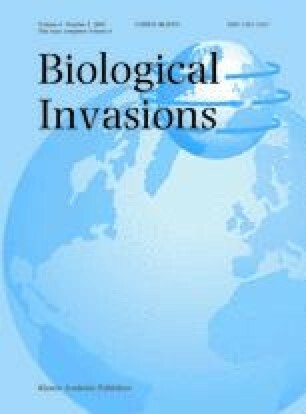 Because ant invasions typically result in the extirpation of native ants, this distinction is highly relevant to predicting and managing the effects of such invasions. Interspecific comparisons suggest that invasive ants are poorer partners of ant-dispersed plants than are most other ants, equally effective partners of ant-tended arthropods, and perhaps better partners of ant-tended plants. Last, we note that the invasive ant taxa differ amongst themselves in how they affect these three mutualist guilds, and in how frequently their interactions with prospective mutualists have been studied. The red imported fire ant, Solenopsis invicta, appears particularly likely to disrupt all three mutualistic interactions, relative to the other six invasive species included in this review.